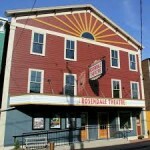 John Wackman, from the Rosendale Theatre in Rosendale, NY, generously wrote this post. In it, he relates the outreach efforts he made to “get butts in seats” for the screening of The Wisdom to Survive by producers Old Dog Documentaries. We invited him to write this post because the screening was hugely successful. The theater was filled, the audience was engaged; there was a fruitful Q&A session with the filmmakers after the screening, and close to $1,000 in DVDs were sold. A film no one has heard of. A small town (pop. 6,000). A Wednesday night in early December. 4 weeks lead in. No marketing budget on the venue side. This post is about how we drew a decent audience and-–what is more—turned the evening into a regional gathering of like-minded & engaged people. Rosendale, NY is 90 miles north of NYC, and 7 miles from the college town of New Paltz. It’s an unusually eccentric and activist community, partly because of the cross-pollination of locals and transplants/weekenders from Brooklyn. The Rosendale Theatre is a community owned & (mostly) volunteer-run Collective. It seats 260. I’m a volunteer, and one of 6 active members of the Program Committee. This month our schedule ran from Captain Phillips to Blue is the Warmest Color. We have a strong track record with environmental films: sustainability, health, agriculture. 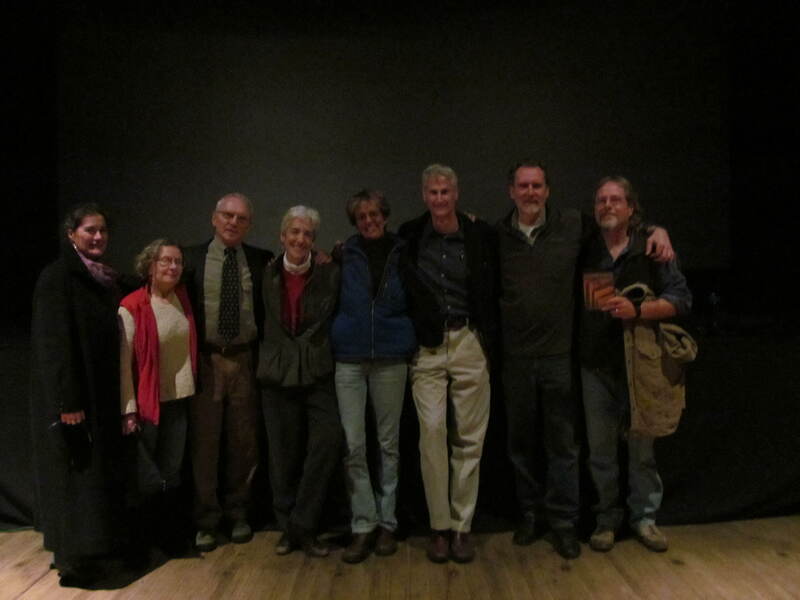 In May we screened Symphony of the Soil and skyped in the director Deborah Koons Garcia. Here is the email invitation (in part) I sent out about 2 weeks in advance. The goal of the evening is to raise awareness about environmental activism in the Hudson Valley–and showcase the opportunities for people to get involved. 7:20 Welcome the audience. Introduce the filmmakers (John Ankele of Accord and Anne Macksoud of Woodstock VT). Introduce reps in attendance from our sponsoring orgs and local office holders. 8:30 Q & A with John and Anne. Sponsoring reps & pols can fold their comments into the Q & A. The film title–taken from the poem by Wendell Berry–means that we have the wisdom–we but need the will & the work. In introducing the evening, it was easy to make the point that everyone present is a “wisdom keeper.” And that this screening is yet another opportunity to connect & create. Our box office sold 124 tickets at our regular price of $7. The (small) lobby filled a half-hour before the program began. It was a conversational din. The audience was not just healthy in numbers (i.e., the house felt “full”) but also in energy and engagement. A friend likes to joke: You can’t go knocking on doors an hour before show time, grab people by the collar and drag them to the theatre. Our personal email invitations defined their self-interest; in follow-up phone calls I highlighted the evening as a networking opportunity with other influencers (you know who you are…). The response to that message was strong. Nearly every group we contacted wanted to send at least one rep. I’d say a good half-dozen others wanted to come but couldn’t due to inevitable conflicts. Still, it’s hard to build an audience one person at a time! So a second goal was to get people to bring a friend: other staffers, board members, family members. (We particularly wanted kids to come. A few were able to–it was a school night after all). It was a terrific evening. At least 80% of the audience stayed on for the Q & A. We ended the evening well before the questions and discussion were played out. People left the theatre energized. We wanted to give people the opportunity to connect to something larger than themselves—the wisdom to survive–and it felt like we did.